Learn twice as fast with Memstash. 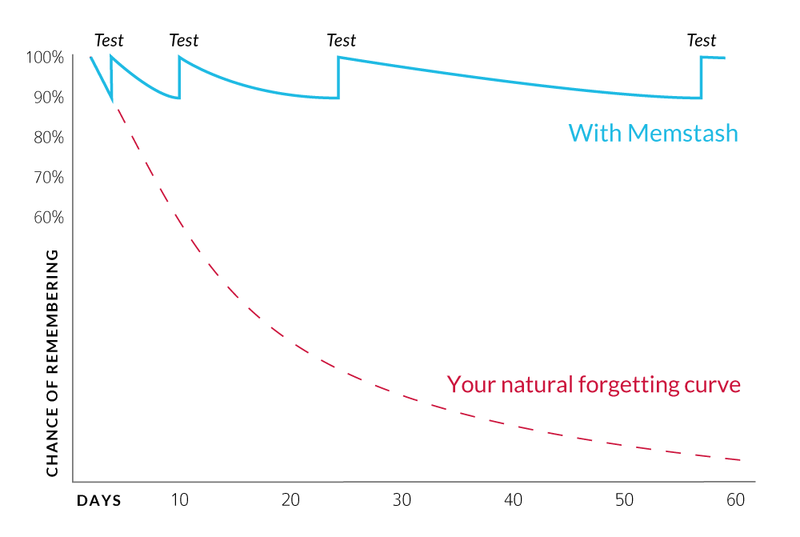 Memstash helps you remember more using spaced repetition, a scientifically-proven technique for boosting memory acquisition. Memstash pushes test notifications to your phone to make reviewing new facts easy. Memstash pushes notifications to your wrist and lets you review items on an Apple Watch. Our Chrome extension lets you easily stash new cards. Scientists have known for decades that spaced repetition dramatically improves memory retention. Memstash wraps spaced repetition in a beautiful interface to help you learn faster and remember more. Works with any subject matter. Use Memstash to memorize new words and grammatical constructions, and learning languages twice as fast. Test yourself on terminology, new concepts, and technical information and improve your retetention. No matter what you're learning, Memstash can help. Available now for the iPhone and Apple Watch.